Developing and manufacturing a PC chassis can be a costly process, so to make the most of the investment, existing frames are often given a makeover and repurposed as new solutions aimed at specific audiences. We've already seen Corsair repackage the Carbide Series 200R as the colourful Graphite Series 230T, and there has been a similar development with last year's Carbide Series 300R. 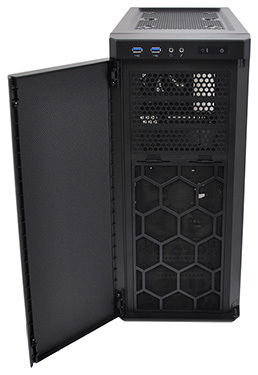 Originally launched as the firm's most affordable enclosure, the 300R became a popular choice - particularly among system integrators - and, given the chassis' success, it's no surprise to find that Corsair has built on the 300R's foundation with the reimagined Carbide Series 330R. Priced at around £75 (that's £10, or 15 per cent, more than the 300R), the Carbide 330R aims to improve acoustic performance through sound-damped doors and side panels. According to Corsair, this is a case "designed for systems that will go into media rooms, bedrooms, dorm rooms, or any place where both silence and performance are essential." 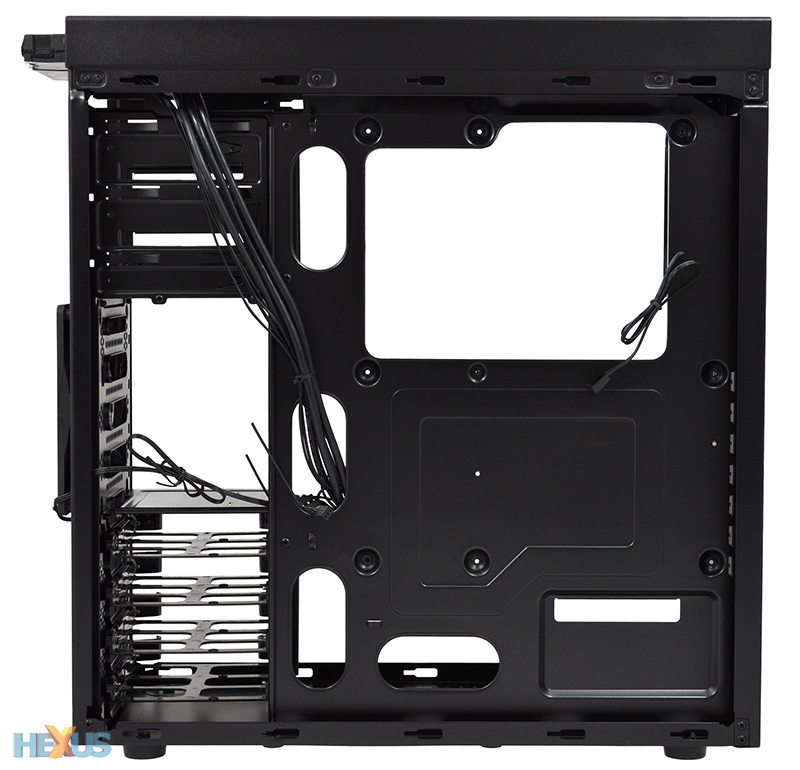 Sounds good, in theory, but the price point does put the 330R up against some tough competition; Fractal Design's award-winning Define R4 is well regarded around these parts, and it's available for similar money. Corsair will need to raise the bar if it's to stand out from the crowd, and first impressions are good. In covering-up the open-vented elements of the 300R, the manufacturer has given the 330R an altogether sleeker aesthetic. 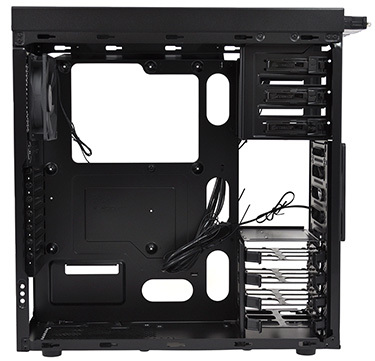 Finished in black, the exterior has few interruptions, with Corsair choosing to cover the optical bays with a plastic door that's dressed to look like aluminium, and a plastic top cover that masks the upper fan mounts. 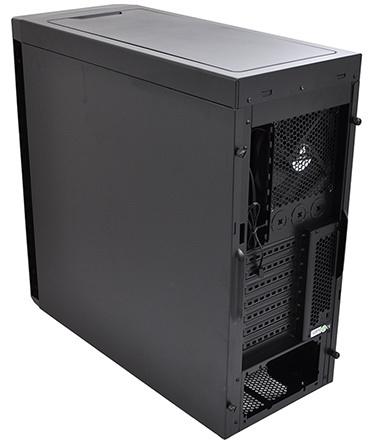 Quiet performance is very much the name of the game, so noise-damping material lines the front and top, as well as each notched side panel. The implementation is good, and though it's personal preference, we much prefer chassis without visible mesh openings; the 330R, in our book, is smarter than the 300R it's based upon, and should be less susceptible to dust. Corsair's plastic front door isn't made of the most robust material - there's a surprising amount of flex around the middle - but it's worth noting that it has space behind it to aid airflow, opens beyond 180º, and better still, can be attached to the left or right sides to suit your preferred orientation. 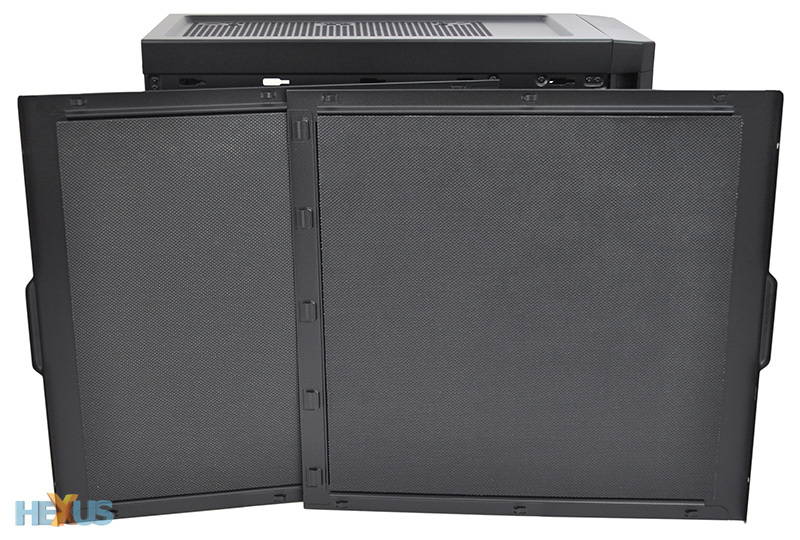 Behind the door, you'll find a mesh filter that covers the dual front fan mounts and pulls out for easy cleaning, as well as a trio of optical bays. 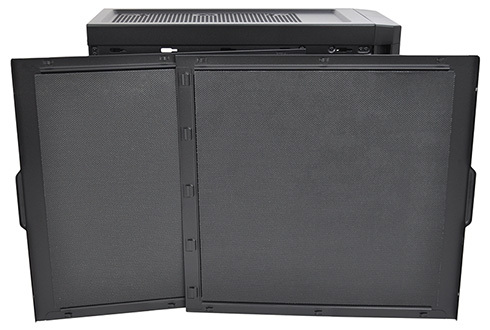 Just above said optical bays - and accessible irrespective of the door - is an I/O panel that consists of dual USB 3.0 ports, audio and microphone jacks, and dedicated power and reset buttons. Standard fare for a chassis at this price point. Elsewhere, slim vents either side of the front door ensure that clean air can find its way in, and there's a magnetic filter covering the bottom of the chassis. It's a shame the filter doesn't slide out from the back - as is usually the case - meaning the user essentially has to tilt the chassis to clean it. Weirder still, the filter is so big it looks as though it covers the PSU bay as well as a bottom fan mount - trouble is, there actually isn't a fan mount down here. From the outside, the 330R looks a clean, well-proportioned chassis that's well-styled and equipped with enough sound-damping material to keep unwanted noise at bay. The problem, as we see it, is that the enclosure's underlying steel frame hasn't really moved forward. Step inside the 330R and you get a feature set that's practically identical to the older 300R. That means seven expansion slots, three 5.25in optical bays, four 2.5/3.5in storage bays, and a spate of cable-routing holes. 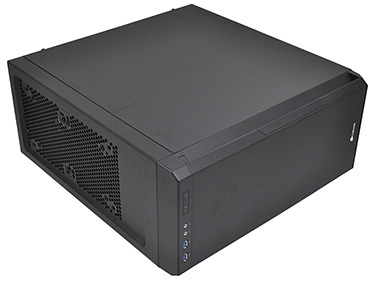 Everything you'd expect from a budget enclosure is present and accounted for, but for £75, the 330R feels like it's missing one or two value-adds. 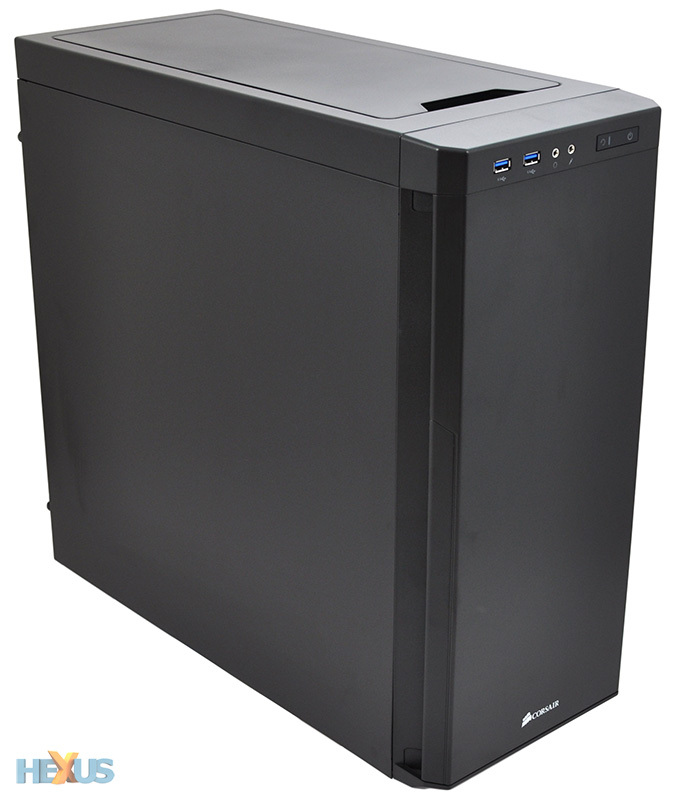 The meagre specification is put into sharper focus when compared directly to Fractal's Define R4, which is available in a choice of colours, has 7+1 expansion slots, twice as many 3.5/2.5in storage bays (as well as a modular drive cage), twice as many USB ports, rubber-grommeted cable holes, and an integrated fan controller. We reckon the 330R is the better-looking of the two, and it is a couple of pounds cheaper at retail, but there's no denying that the Define R4 has the stronger feature set. 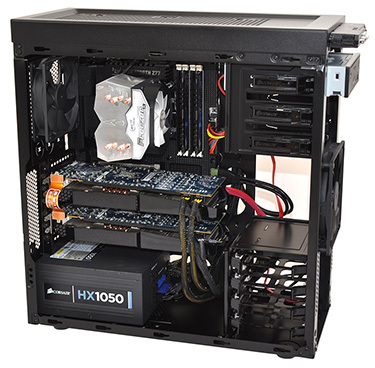 Using the same core as the 300R makes sense for Corsair from a manufacturing perspective, but in doing so it leaves the 330R unable to match what's on offer from the competition. 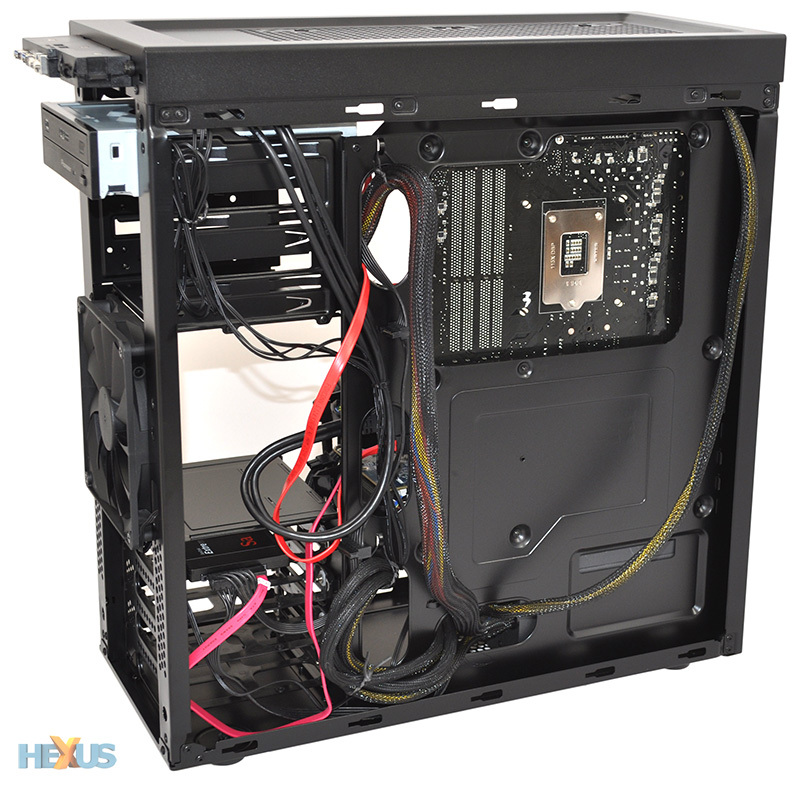 Yet, while we'd liked to have seen a couple of upgrades - dedicated 2.5in mounts and rubber-grommeted cable-routing holes really wouldn't have gone amiss - the 330R continues Corsair's trend of developing enclosures that are easy to work with. 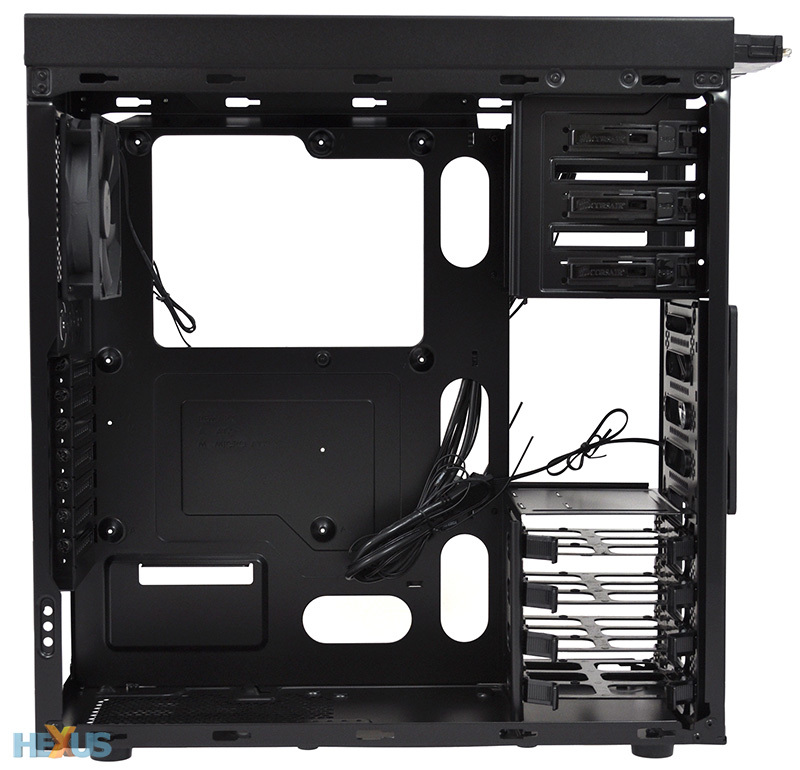 The 486mm x 210mm x 495mm chassis feels spacious throughout, there's a large cutout in the motherboard tray to aid with CPU cooler installation, all three optical bays are tool-free, a central stud makes it easy to align the motherboard, and thanks to raised mounting holes, there's no need to worry about having to install stand-offs. Following in the footsteps of the 300R, the 330R is supplied with two fans as standard - a 140mm front intake and a 120mm rear exhaust - and the gap between optical and hard-disk bays is such that there's a clear path for airflow. A second 140mm front fan mount is available if needed, as are two 120/140mm mounts up top, but these aren't as flexible as we'd have liked. The second 140mm front intake is of course going to be obstructed by the hard-disk cage, and the fact that the cage is fixed means you won't be installing a radiator up front. 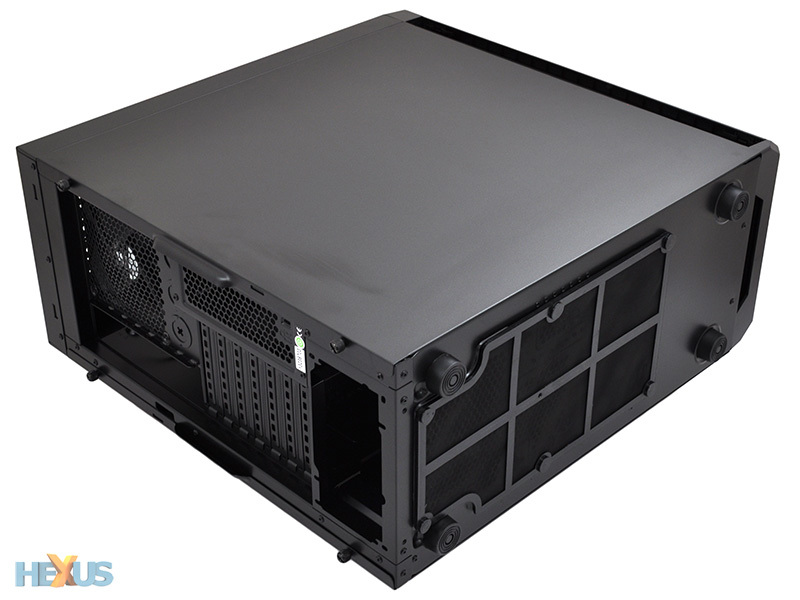 Similarly, the top fan mounts are covered as a whole as opposed to independently. While you could install a 280mm radiator up here, you can't install a single fan and keep the second mount covered up - it's an all-or-nothing affair. The cooling possibilities aren't as versatile as the original 300R - which, remember, also had dual side intakes, but on the whole the 330R is just as easy to build into, with good cable management and a reasonable amount of room behind the motherboard tray. Let's find out if it strikes an optimum balance between performance and noise.